I’ve been thinking a lot about the sustainability of our fashion consumption over the last few months. As someone with a small amount of social influence i’ve become more and more conscious about the way I consume fashion in order to produce new content for my myself, my followers and brands I work with. I’ve aways loved fashion and style but the rise in social media as a platform for marketing and the constant need to consume content has I believe, intrinsically changed the way we view and consume fashion. Clothing has always had an affect on a person both inside and out and brands have always sought to produce items that make you feel like the best version of yourself, that suit your style, personality and vitality. But, with social media constantly projecting this unrealistic and unattainable lifestyle to us 24/7 have we become completely unsatisfiable? 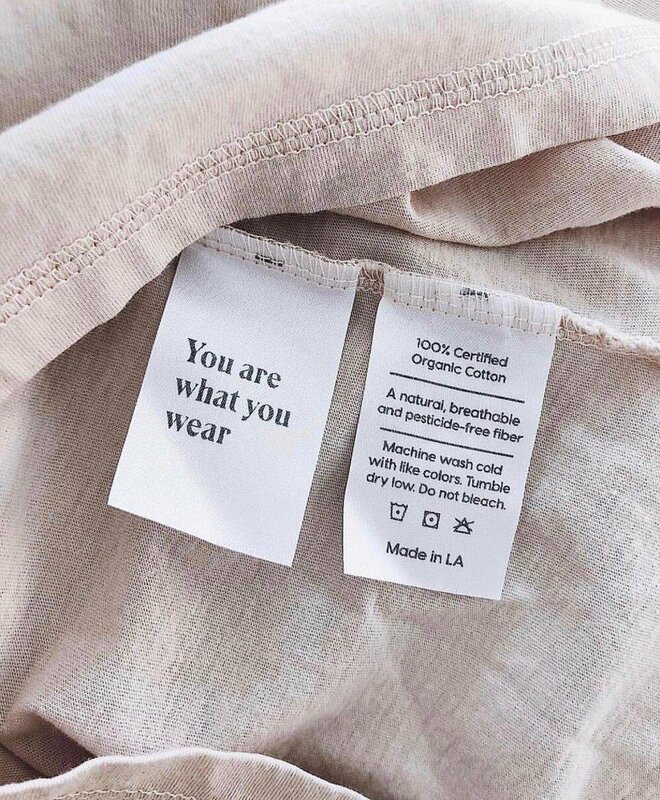 Is fast fashion a direct result of our generations obsession with ‘living our best life’ leading to the constant need to have newer and better things to make us happy? Not only is this completely unsustainable in terms of our mental health and wellbeing but it’s also having a devastating impact on our environment. In a week in which the the UN published it’s eye-opening Climate Change report and Stacey Dooley’s poignant documentary aired revealing the catastrophic impact of the fashion industry on our environment, I felt compelled to try and articulate some of my thoughts on this subject in an attempt to change my own habits which are, believe me, far from healthy. I’ve always viewed my social platforms as mine alone and I’ve never felt I have any particular obligation or responsibility as a so-called ‘influencer’ apart from of course staying authentic and true to myself. However, although I have a tiny following compared to others, I’ve felt for a long time that I want to use what ever influence I may have for positive change. 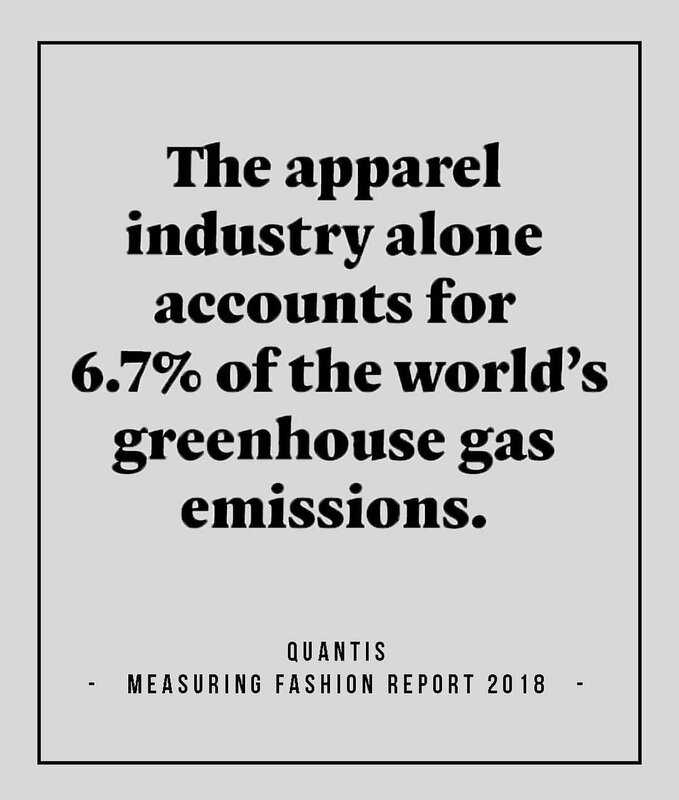 The notion that the fashion industry is the second biggest polluter (after oil) is enough to make me never want to buy or promote another piece of clothing again. However, its not that fashion is bad per say – but the changing attitudes and way we now consume fashion is turning what was essentially a skilled, artistic craft into an industry which is solely responsible for ruining the homes and livelihoods of people all over the world, as well as having a hugely negative environmental and ethical impact. We all know the term fast fashion, its a business model utilised by lots of high street brands with the aim to deliver high volumes of low cost items to the consumer. We’ve moved from a time of two fashion season a year to seeing 2-3 collection drops per week. This attitude has customers’ needs changing, from buying seasonally to buying daily, wearing items once, discarding them and buying more. Statistics show that the average wear of an item in our wardrobe is once per year and a 3/4 of britons throw away clothing rather than recycling or donating them. The need for more and more clothing at affordable prices means cutting costs in the production process, factories dumping chemicals and toxins in water systems used by large communities, killing species that live there as well as polluting the water which causes illness, poverty and rising rate of life-threatening health conditions. Not to mention the use of synthetics fibres like polyester that shed microfibres that add to the increasing levels of plastic in our oceans. But is it the consumer or the producer to blame? Where did the need for fast fashion come from? Is it a modern day marketing ploy to convince people that more equals happier? The notion that you wont be truly fulfilled unless you have that silk leopard print skirt you’ve seen on every scroll of your Instagram feed. The idea that clothes are a beacon of happiest isn’t a new one but what has changed is the accessibility of fashion and social reach which has lead to an unhealthy consumption. Which came first? The chicken or the egg? I can’t work out whether our Instagram generating was born out of fast fashion or fast fashion was a direct result of the rise of Instagram influence and this constant need for content and self-gratification.. all I know is that it needs to stop, and fast. We have 15 years to cut our greenhouse gas emissions if we have any chance of keeping our planet within a 1.5 degrees temperature increase. At the current rate the planet will heat up 3 degrees which will have irreversible impacts including wiping out entire animal and insects species, destroying 99% of the world’s coral reef and causing droughts and extreme weather that will see millions more people living in poverty. Whilst I recognise fashion is not the only contribution and there are a lot of factors contributing to global warming, I wanted it to be the focus of this post given that it’s a large part of my life and what I focus the majority of my blog on. Ultimately, the best thing you can do is buy less and keep our clothing in use for longer. There are sustainable brands out there but it’s the rate we are consuming fashion that’s having the biggest impact. Cotton used to be largely sustainable but the rate of the demand we have today has made it the biggest drain on fresh water resource in the world. I’ve made the decision to massively limited my purchasing habits. 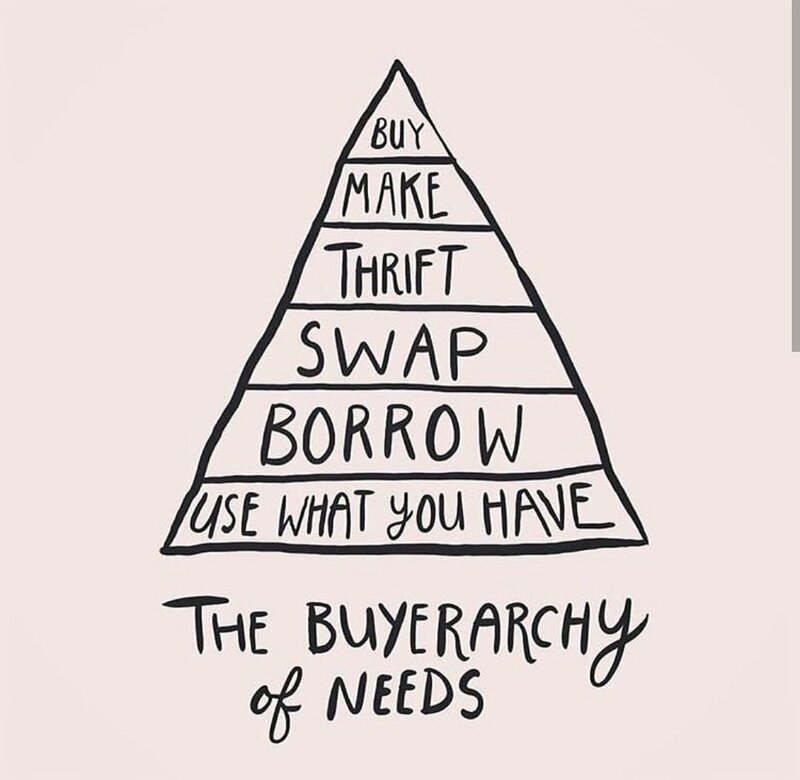 For the next two months I’ll be only buying second hand, vintage or recycled clothing and after that I plan to only buy investment item that i’ll wear for years to come and those will be mostly from sustainable brands or well made high street items that I won’t need to replace. I want to stress here that I am not the authority on sustainability and this is just one way I am choosing to try and change my own carbon footprint and I in no way would try to convince or pressure anyone to do the same. I do think social media has a profound impact on how we shop and therefore I will be extremely conscious about what I promote on my page. I want to mix items I already own with vintage, recycled and sustainable pieces and ultimately move away from promoting or condoning fast fashion. Francesca, thank you so much for putting this together! It’s intrinsically important that more people talk about the consequences of buying too many clothes. I know how you feel, as I constantly try to buy better, which actually means, buy less. Sometimes we just really end up loving a piece of clothing that was made unethically, but I think that is ok, as long as we are aligned with our own habits and keeping ourselves in check. 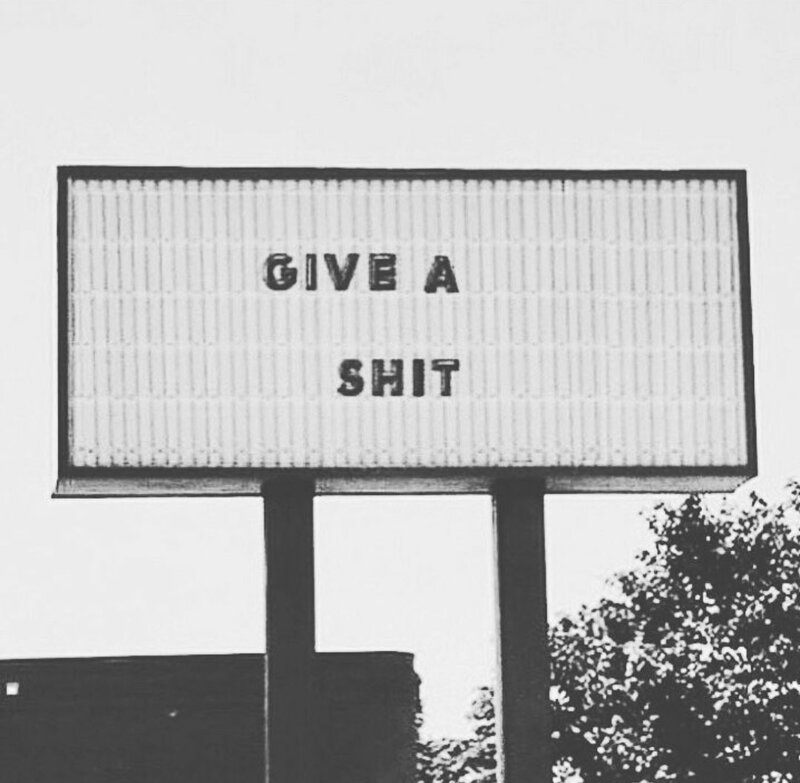 I can’t stress how much I agree with what you said regarding social media. I do see my spending habits being determined by who I follow and what they purchase! It’s so hard, especially when trying to build a following, to not feel like we also need to participate in the same way in order to engage with the community. Your words give me more encouragement to keep using my ‘old’ clothes and styling them. We all love vintage and second hand, so why aren’t we showcasing our singularity through them more often?! Instagram makes us look too samey too often anyway! I can’t wait to see your future outfits, I’m sure they will be as awesome as your old ones! Thank you so much for your comment Camilla. Completely agree that it’s not about making everyone stop shopping, that just isn’t going to happen and I think we need to be realistic in order to really affect change. 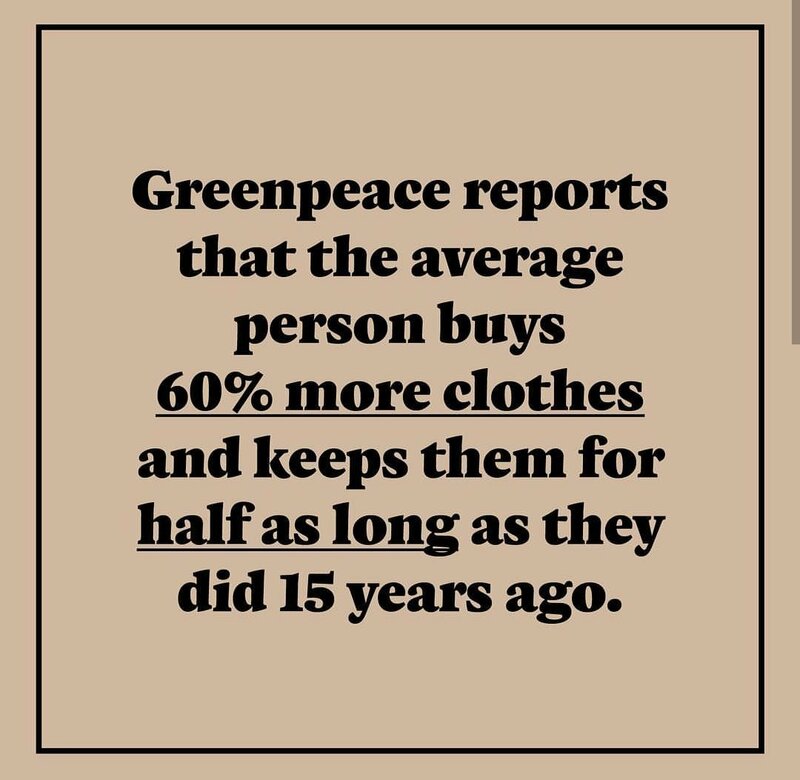 But if everyone even cut back by 50% in the amount of clothes we buy it would have a profound impact on the environment. There are so many other issues around the conditions clothes are made in as well as communities relying on factories for jobs etc but I think everyone being more aware on how their buying habits are affecting the world around us.